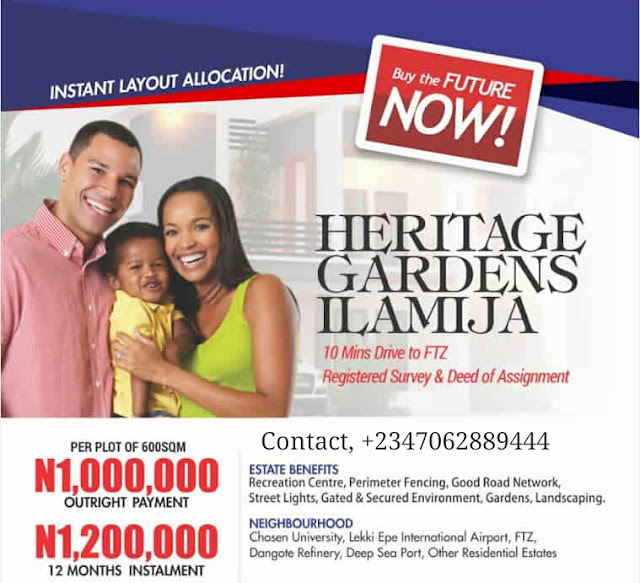 Heritage Garden, Ilamija, a new estate offering you plots of DRY land at flexible and affordable price. 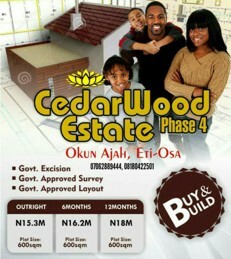 You can secure a plot of land in the fastest growing region of Lagos state with Instant Layout allocation. LOCATION: 10 mins drive to the Free Trade Zone, Ibeju Lekki Lagos. 1 – 3 months: Total 1,000,000 Naira. 12 months: Total 1,200,000 Naira.